A city of bridges and the home of Port, the charming and opulent Portuguese city of Porto is one destination you should add to your European must-visit list. 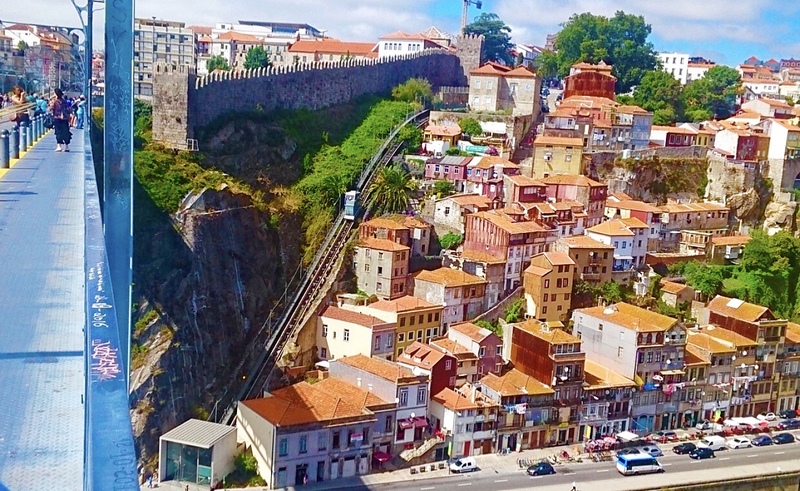 Located on the Iberian Peninsula, 2.9 million residents call Porto home and tourism is fast gaining traction with the city welcoming 1.6 million visitors each year. There is much to love about the city which is located on the banks of the Rio Duoro and has a vibe which is equal parts historic, arty, cool and edgy. The city is the second largest in Portugal after the capital Lisbon, and one of the oldest in Europe with a history of settlement extending back many centuries. There are some sites that should be at the top of your list if you are visiting including Clerigos Tower, Livraria Lello (possibly the world’s most beautiful bookstore) and Ponte de Dom Luis, one of the many wonderful Porto bridges. If you love intricate tile work the Sao Bento train station is a must, with beautiful interior tiles that depict historical scenes in the main terminal, making it one of Europe’s loveliest places to transit. The Capela das Almas is another beautiful example of azulejo tiles with the exterior clad in blue and white scenes depicting the lives of Saints. Architecture and art feature heavily in the city with Porto being home to world famous street artists. Wandering through urban areas you will stumble across many pieces of impressive, wall sized street art. Food and wine also should also feature heavily in your itinerary – local Port, egg custard tarts dusted with cinnamon and Francesinha, a cured ham and cheese sandwich served in hot tomato and beer sauce (trust us it’s worth trying!) are some of the local delicacies. There are plenty of markets to explore with abundant fresh produce available. Porto lies within the Costa Verde coastline on the Atlantic Ocean, so if you need an escape from the city there are numerous beaches nearby to spend a warm sunny Portuguese afternoon. Getting around is easy too, our tip is to purchase a 1-3 day Andante Tour card or Porto Card which gives you unlimited travel plus discounts to attractions. The city is also great for walking, though be warned it is quite hilly with some very steep areas so be prepared with suitable walking shoes. The warmth and welcoming nature of the Portuguese people and the combination of history, food, wine and art and the added bonus of nearby beaches make Porto a great destination for a long weekend or mini-break or an addition to your European travel itinerary. For more information visit here. For a great Lonely Planet Pocket Guide to Porto that won’t weigh down your luggage visit here. Safe travels! Porto, a beautiful city with very friendly locals. Love this post.